The Road is Always Long – My journey through the world of ultra marathons. My name is Robert, Robbie, Bob, Boab, Rob or Bobby (depends on who you speak to) and I fell into this daft sport of ultrarunning after supporting a friend on the West Highland Way Race in 2013. Having sworn that I would never run an ultra marathon, I strangely found myself signing up for one of Scotland’s other brilliant ultra marathons that same year. 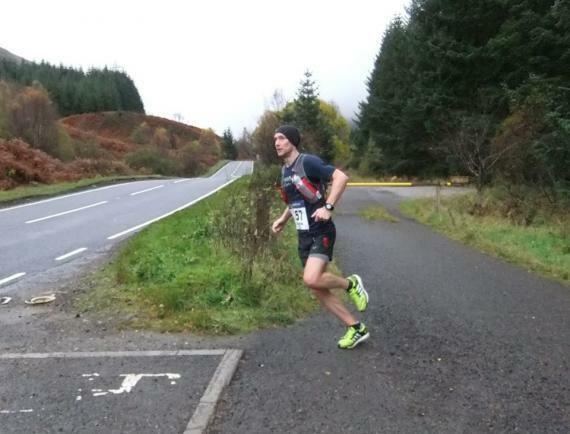 That was to be my first ultra, the Glen Ogle Ultra. This was the beginning of my journey. I’m a forty odd year old father of 2 beautiful girls and married to the long suffering but very supportive wife, Lisa. During the day I am a freelance software developer who dreams all day about doing a job that would keep me outside. I started running in the mid naughties, having had a sabbatical of about 15 years from most sports, and have posted some half decent times over various distances. In 2009 just after running my marathon PB (Personal Best) of 2:31 at Berlin (the hot year), I accidentally thumped my knee off a door in the house and couldn’t run for 3 months without pain. Since then, I could probably say that there has not been a point in time when I haven’t been carrying some form of injury or issue. For 5 frustrating years, where I watched all my peers get quicker while I got slower, I decided to look at this issue more deeply. I started looking at podcasts about fitness and wellness and various nutritional approaches and it got me hooked on the so called self quantification movement. After some months of testing, investigations and results, it would appear that the writing was on the wall well before the knee bang in 2009, in fact the knee bang itself had nothing to do with how I felt over that subsequent 5 years. This blog was started to log my racing and I will hopefully blog about the other parts of running that make it happen, training, nutrition, race preparation and gear along the way. Please feel free to contact me via the comments facility, it is always great to hear from fellow runners.